Daily brushing helps promote healthy teeth and gums. 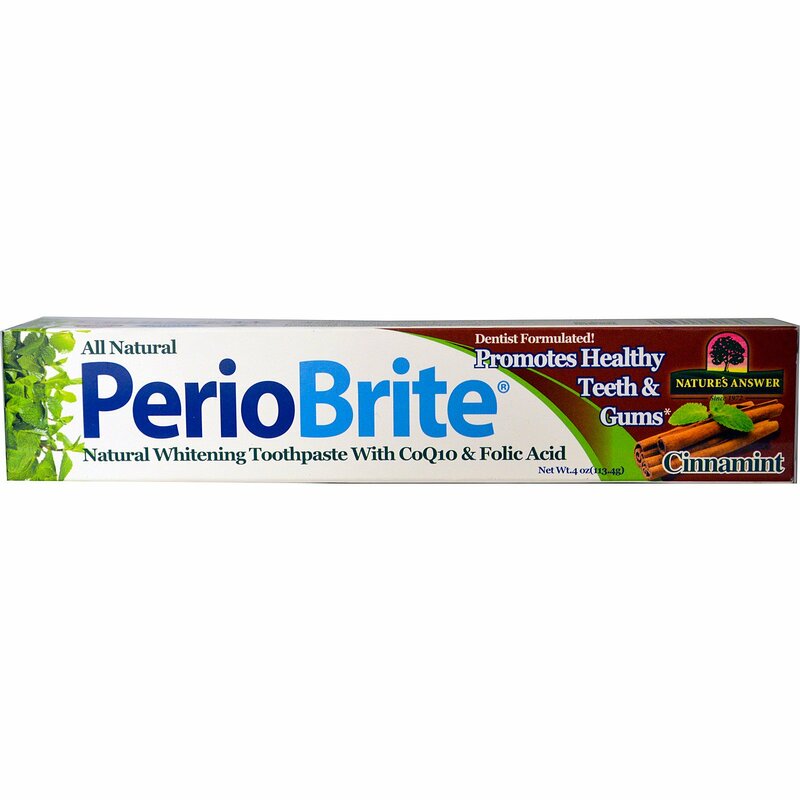 PerioBrite, a low abrasive toothpaste does more than clean teeth - it supports periodontal health. Dentist formulated PerioBrite contains soothing wildcrafted herbs well-known for their cleansing action, while CoQ10, Folic Acid, Oregano, Cinnamon and Clove promote tissue and gum health. As part of an oral health program, PerioBrite naturally whitens teeth while leaving your breath fresh and clean, energizing your whole mouth with cool, sparkling minty-fresh sensation. For best results, use with PerioCleanse, PerioWash and PerioRub. Directions: Brush teeth thoroughly after meals, at least twice a day or as directed by your dental professional or physician. PerioBrite is concentrated - use a pea size amount. Do not swallow. For children 2-6 years of age, supervise until good habits are established. For children under 2 years of age, consult your dental professional or physician. 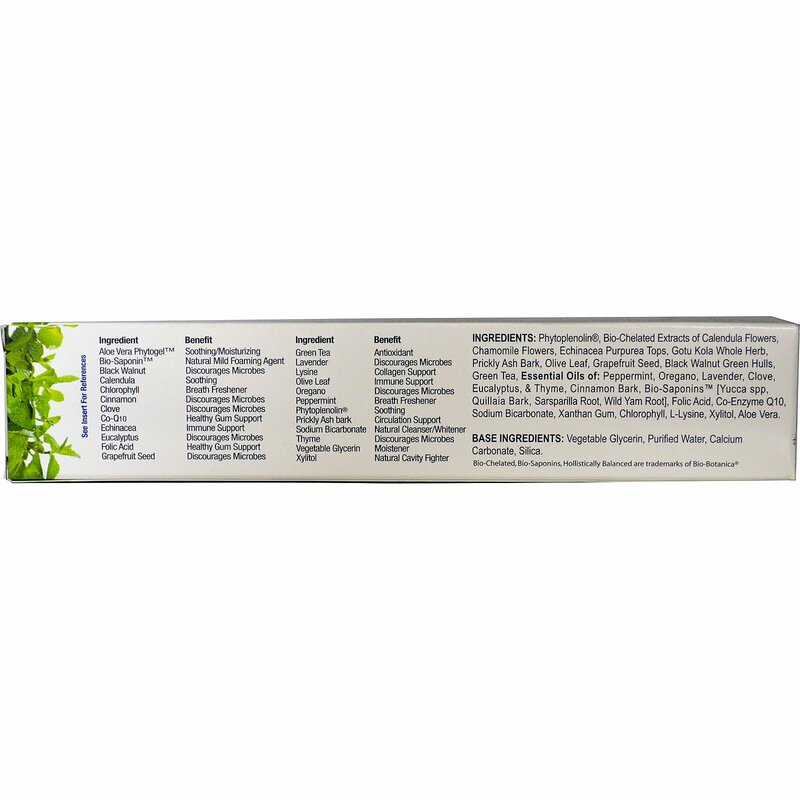 Phytoplenolin, bio-chelated extracts of calendula flowers, chamomile flowers, echinacea purpurea tops, gotu kola whole herb, prickly ash bark, olive leaf, grapefruit seed, black walnut green hulls, green tea, Essential oils of: Peppermint, oregano, lavender, clove, eucalyptus & thyme, cinnamon bark, bio-saponins [yucca spp, quillaia bark, sarsparilla root, wild yam root], folic acid, co-enzyme Q10, sodium bicarbonate, xanthan gum, chlorophyll, L-lysine, xylitol, aloe vera. Base Ingredients: Vegetable glycerin, purified water, calcium carbonate, silica. Free of preservatives, fluoride, alcohol, synthetic solvents, sodium-lauryl-sulfate, artificial sweeteners, colors and dyes. Keep out of reach of children. Do not use if seal under cap is damaged or missing. Store in a cool, dry place.